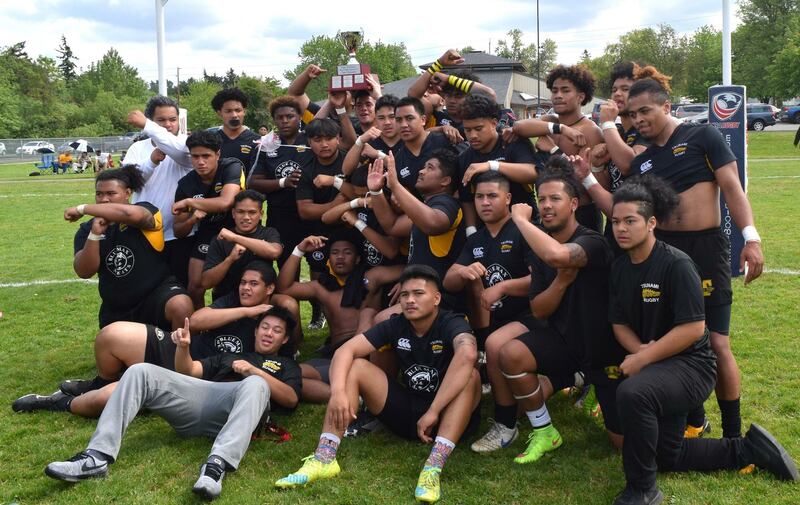 Going into this past weekend's Rugby Washington state finals, you'd be hard-pressed to pick the winner. With Eastside passing up the boys playoffs to play at nationals, most would have picked Liberty to take the final. But that didn't happen. On the girls side, Kent has long been the queen bee - sometimes pushed but never really surpassed. But Kent didn't win, either. In both cases, Tacoma took the title. "It was a pretty amazing weekend," said Tacoma Head Coach Marc Sullivan. 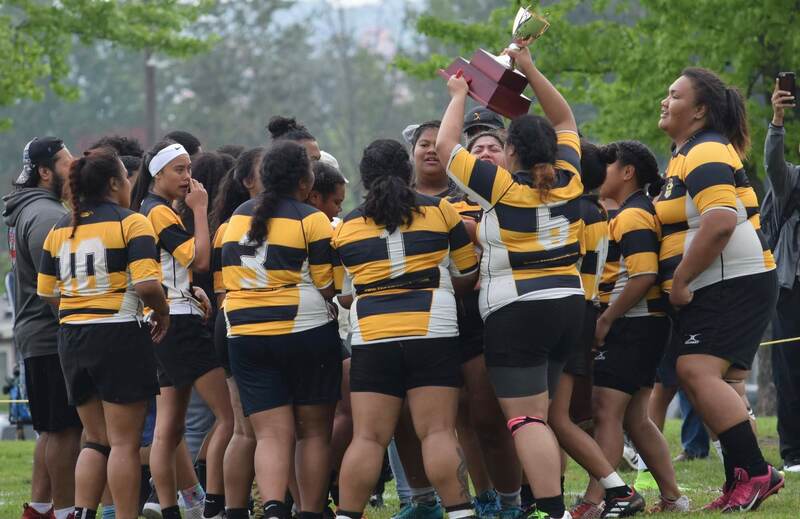 "With the girls, they've only been on the trophy for the last several years. It was two different approaches to the game. They play more of a speed game and try to get on the outside, and we have more of a power game and try to go through the middle of them." The game went down to the final moments, with flyhalf Lolo Makaafi scoring in the corner to put Tacoma ahead, and Kent had a minute or so to come back, but couldn't do it. Tacoma 34 Kent 28. It was an astounding culmination to a season where Sullivan didn't know what he had. "We started, we had only about six girls. But we grew to 12, then 15, then about 24, and then we dropped back down to 20," said Sullivan "And all very athletic. So once they came together we knew we had a good team." 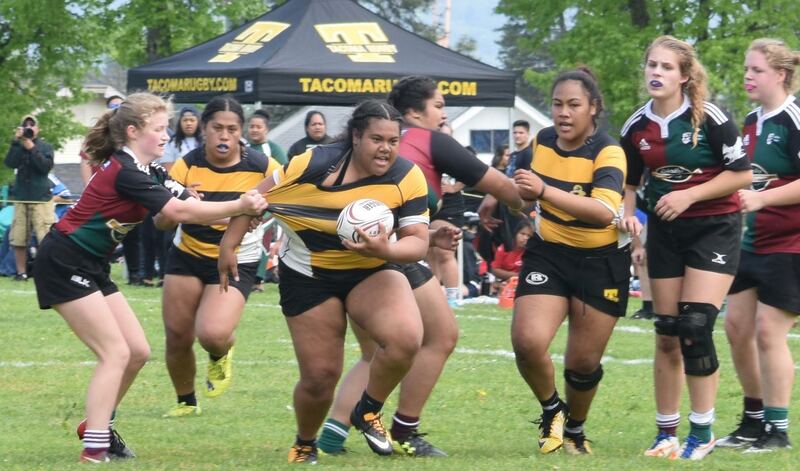 With Rugby Washington didn't hold a JV final so the Tsunami brought up some sophomores to bolster the squad. "This was the first time we had everyone healthy and we were 100%, and we had four sophomores start," said Sullivan. "We were down on numbers early on and it came together. The biggest thing, though, is we went from having just a varsity team to having 140 kids in the program plus rookie rugby. Out 7th-8th-grade team won all of their games." In the Boys Varsity final, in a back-and-forth game, Tacoma edged Liberty 31-29. "Both teams played hard to the final whistle," said Sullivan, who now finishes coaching the program. He is moving back to his home country of New Zealand. But Sullivan has been heavily involved in rugby in Washington for decades, and should be rightly proud of what he has helped build. "Our organization and coaching staff are very proud of what has been accomplished this year. We are working with a demographic group that has its social and economic challenges. 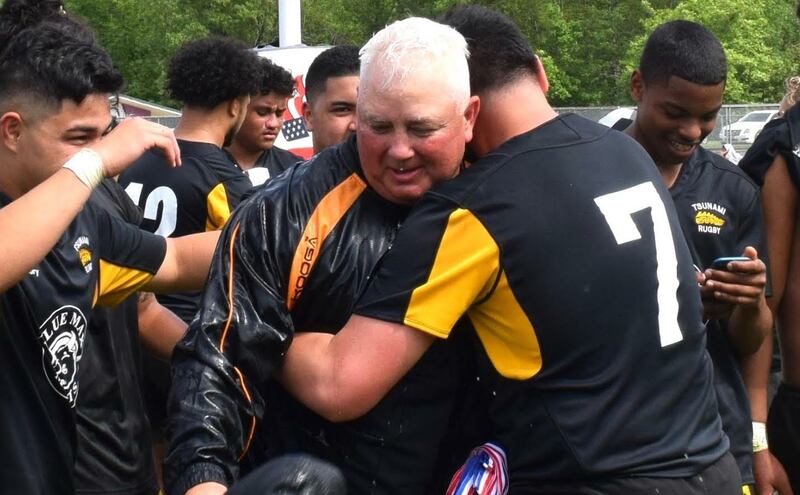 Through amazing support from alumni and the local community we work tirelessly to eliminate these challenges and allow this amazing group of young people the opportunity to play the great game of rugby."